The new car, which takes its name, Portofino, from one of the most charming villages on the Italian Riviera, an eponym for stylish elegance, is the most versatile model in the range. 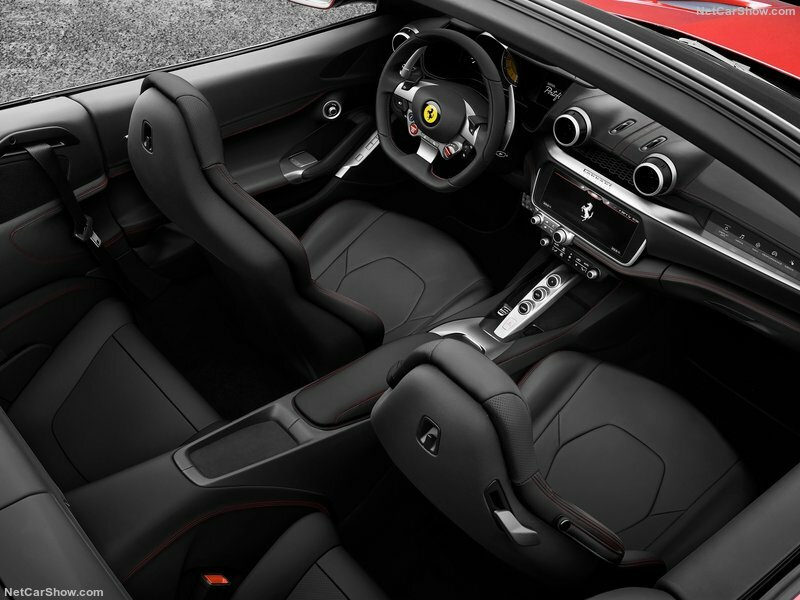 A Ferrari designed to be driven every day that also effortlessly converts from an authentic 'berlinetta' coupé to a drop-top capable of delivering a unique Ferrari soundtrack and superb driving pleasure even in day-to-day situations. The Ferrari Portofino is significantly lighter with the adoption of new components featuring innovative designs made possible by the use of cutting-edge production techniques. This, combined with a 40 cv higher power output than the California T, has resulted in a significant hike in performance and a corresponding drop in emissions. Vehicle dynamics benefit from the introduction, for the first time on this model, of electric power steering, the 3rd generation electronic differential (E-Diff3) and the latest evolution of the electronic suspension control system (SCM-E) integrated with Premium 9.1 ESP. Starting with the V8 power unit, which has won the outright International Engine of the Year award for two consecutive years in 2016 and 2017, Ferrari's engineers worked on several different fronts to deliver a power output of 600 cv at 7500 rpm, the equivalent of 156 cv/l, introducing new mechanical components as well as specific engine management software. Maximum mechanical efficiency is guaranteed by the use of high-resistance aluminium alloy pistons and con rods with innovative geometries and specially-shaped high-tumble intake manifolds. Combustion is optimised across the engine's rev range by an ion-sensing system with adaptive ignition and multi-spark functionality. Losses in the intake have been reduced by new more linear high- and low-pressure air ducts while the all-new exhaust system benefits from a single-piece exhaust header. Mechanical efficiency is further optimised by a variable-displacement oil pump that reduces hydraulic power requirements by up to 30% compared to a conventional pump. The adoption of a new intercooler to simultaneously minimise fluid-dynamic losses and increase air cooling also contributes to the engine's performance. The Portofino's engine continues Ferrari's zero turbo lag tradition, with instantaneous throttle response in under 1 second. This is the direct result of the adoption of innovative solutions such as: a flat-plane crankshaft, which, with its compact size and lower rotating mass, improves fluid-dynamics; compact turbines with a low moment of inertia and twin-scroll technology that reduces the interference between the exhaust pulses from different cylinders and increases the pressure; and a single-cast exhaust manifold with equal-length pipes to optimise the pressure waves. 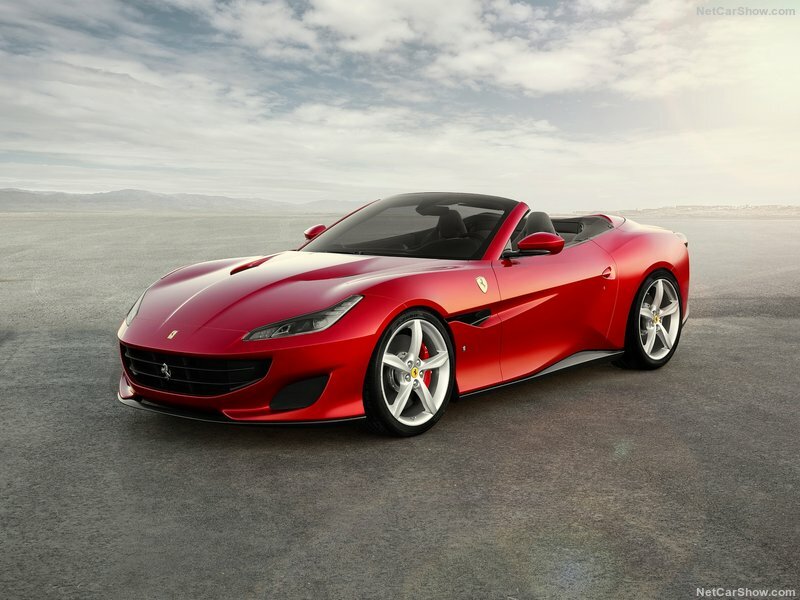 One of the Ferrari Portofino's most impressive features is that it is significantly lighter than the California T. To achieve this, the Prancing Horse engineers worked extensively on every aspect of the car. The bodywork and external components have been rationalised in the same way and an example is the new retractable hard top which has been completely redesigned, including the movement mechanism, with a reduction in weight compared to the California T's. The car's interior was also subject to meticulous research. The structure of the seats was completely redesigned and constructed in magnesium alloy to cut weight and the new air conditioning system is more compact and efficient. All these solutions combine to lighten the car yet simultaneously improve occupant comfort. Other areas on which weight was shaved off were various components of the electronics and engine. The result is that the car is 80 kg lighter than the California T.
Much honing was also done on the both the Ferrari Portofino's basic running gear and its components and their electronic control systems. The car's vehicle dynamics were optimised by working on its suspension set-up through the introduction of stiffer springs (+15.5% at the front and +19% at the rear) and by adopting the latest evolution of the magnetorheological damping system (SCM-E) to guarantee superb ride comfort. The Magnaride system has been uprated with dual-coil dampers to improve the precision and speed of adjustment of the magnetic field as well as a new ECU (Gen3) which implements control algorithms developed by Ferrari, in particular those relating to vertical dynamic control of road input frequencies. The result is improved body control and reduced roll, enhancing the sporty driving feeling, particularly when the Manettino is in 'Sport' mode. In 'Comfort' mode, on the other hand, ride comfort is superior to the previous model on rough or uneven road surfaces. The adoption for the first time on this type of Ferrari model of the third generation electronic rear differential (E-Diff3) also improved lateral performance parameters, thanks to the combined action achieved by integration with the F1-Trac traction control. This level of integration of all the electronic vehicle dynamics controls ensures that the car is easier to drive and handles even better in low grip situations, making it more versatile. The Ferrari Portofino is the first Prancing Horse GT to boast Electric Power Steering which plays a pivotal role in the feel of the car in the driver's hands. Steering wheel responsiveness has been improved with a smooth, natural feel to the assistance and feedback, while re-centring of the wheel is dynamic and consistent with the speed of the car when the manoeuvre is being executed. Lastly, thanks to the steering wheel's dynamic performance and its integration with the E-Diff3, the steering ratio (steering wheel angle/wheel angle) has been reduced by 7%. The Ferrari Design Centre-penned Portofino is an aggressively-styled car with a two-box fastback configuration - unprecedented in a coupé-convertible with a retractable hard top - that adds extra sleekness to its silhouette, lending it a sportier character without impinging on its elegance and dynamism. As is always the case in Ferrari, the aerodynamic development process involved every single area of the car and its development, from the initial layout choices to the management of the flows involved in heat dissipation, and the definition of every single detail of the underbody and bodywork. The Aerodynamics department and Ferrari Design collaborated on a day-to-day basis on the latter in particular. The development process focused principally on aerodynamic efficiency with a particular emphasis on cutting drag which is pivotal to both pure performance, and on keeping fuel consumption and emissions down. This goal proved challenging as Ferrari's engineers had to guarantee improved engine heat dissipation (as power output was boosted by 40 cv) which could have resulted in an increase in Cd over the previous model. Nonetheless, they managed not just to dissipate the increased heat energy without increasing radiator dimensions but also to achieve a drag (Cd) figure of 0.312 - an improvement of 6% over the previous model. The front of the car is also underscored by a new headlight assembly with a more horizontal development which is designed to follow the crest line of the front wheelarches. Half-hidden at the outer edges of the headlights are highly innovative aerodynamic "air curtain"-type intakes which vent into the front of the wheel housing to increase the evacuation of air coming from the wheel spokes and wheelarch and channel it along the scooped sides, thereby reducing drag created by the wake from the front wheels. Great attention was also focused on the way in which the surfaces of the car's flanks catch the light, creating a marked "chiaroscuro" effect and thus breaking up the mass. Meticulous modelling of the curved profiles and tauter lines underscore the car's design. A crease line runs from the edge of the bonnet along the front wheelarch and across the door. The result is a slender but well-defined belt-line which underscores the elongated muscle of the upper front wheelarch and the new air extraction fin, cleverly located to relieve the pressure inside the wheel housing via a clearly visible vent. While the Ferrari Portofino's exterior exudes a stylish compactness and instantly marks out its GT vocation, its cabin too has also been carefully designed and developed. 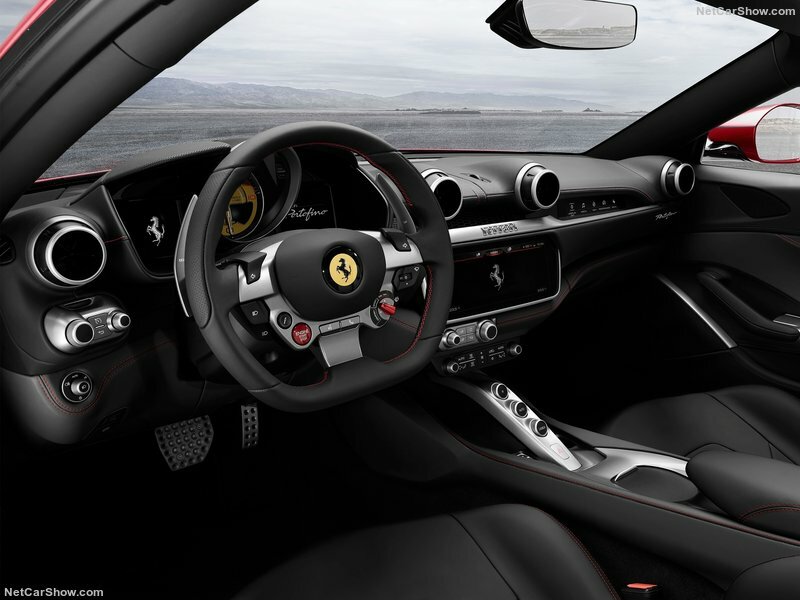 The Ferrari Design team pinpointed certain specific essential requirements, the foremost of these being formal and functional coherency between the car's exterior and its interior, weight reduction and creating more space for occupants. Seen in plan view, the cockpit's symmetrical arrangement and the improved rear seat space are clear. The dashboard architecture in particular features two shells, which incorporate all of the technical components, and a bridge which visually connects the instrument panel area with the central tunnel which, itself, was clearly conceived to act as a divider between driver and passenger. One signature characteristic of any Ferrari car is the meticulous care lavished on the selection of the materials, trims and assembly procedures. The Ferrari Portofino's sporty yet elegant character highlights these aspects of the creative and design processes demanded to hone every last detail, marrying high-tech elements and materials with manual assembly and handcrafted finishes. In line with Ferrari's other GTs, the Portofino's HMI (Human-Machine-Interface) includes an instrument panel and dual TFT displays arranged around the rev counter in a generous circular anti-glare binnacle on exactly the same axis as the multifunctional steering wheel. The passenger has an optional dedicated capacitive display. Directly linked to the main screen, it provides all information relating to car speed, rpm and gear engaged. Lastly, the infotainment system functionalities are controlled via the 10.25" touchscreen located at the centre of the dash within easy reach of both driver and passenger. Front: 245/35 ZR20; 8J x 20"
Rear: 285/35 ZR20; 10J x 20"